Opera Australia doesn’t need government funding. Arts. Page 18. On page 18, an interview with Lee Lewis, Artistic Director of the Griffin Theatre Company. The Griffin is the only theatre in Sydney that is committed almost entirely to producing new Australian plays. It sees itself as producing a future canon of Australian theatre, the worthiest of endeavours. Lewis says every play loses money; that is why Griffin is subsidised and its subsidy should never be reduced. Just a smidgeon of self-interest. Get my bias out of the way. I believe that what Griffin is doing in finding and producing Australian plays is of the highest value to our culture, especially given the modest support to Australian writing from much of the rest of the theatre sector. That said, Lewis seems to be making some assumptions that are very shaky. 1. Money taken from opera company subsidies would be redistributed across the arts sector (and especially to small theatre companies specialising in new Australian plays). Really? Why not reassigned to bombing ISIS or business subsidies or NAPLAN testing? 2. The arts community can set the priorities for arts funding. The arts community does not make those decisions. 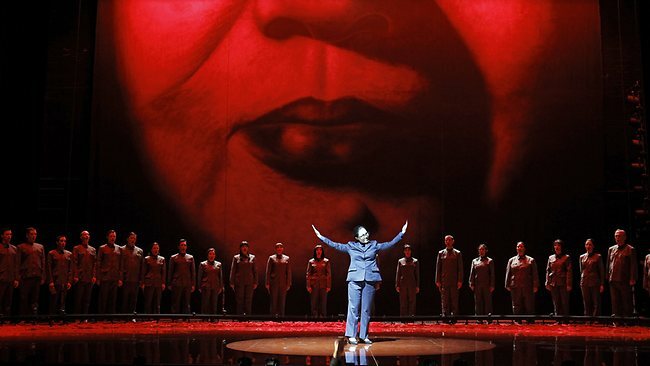 Who decided the federal budget would increase funding to opera and reduce it to small theatre companies? The Minister. 3. We can remove subsidy to the opera but it will be OK because private supporters will fill the gap. If you don’t think the big companies are pulling every trick in the book to get private support, you aren’t paying attention. Look in the back of their program booklets. See who is contributing – and how many staff are already employed in the fundraising departments. 4. Opera Australia should be contributing to the culture by producing new works, presumably Australian. Agreed, but it could never do what Griffin is doing for reasons given below. I wonder whether the opera companies and orchestras comprehend the level of resentment in the professional music world for the level of subsidies they consume. Or perhaps more accurately, the proportion of arts subsidies they receive. Orchestras and opera companies in 2012-13 received 43% of all Australia Council funding to all art forms – much more than to any of theatre, dance, visual arts, literature, six times more than to all other music activities. Living in their worlds, they no doubt worry about not having enough subsidy and whether they can break even. Fair enough but they need to look over the parapet. The resentment occasionally breaks through to the public realm, as with the SMH article or the ABC radio program. A prudent world view on the part of the major companies would see the danger in that. Most taxpayers do not go to orchestral concerts, the opera or indeed, live theatre or dance. On those grounds alone, there is vulnerability in their position vis-à-vis government. If governments know of the envy and dissatisfaction from within their own larger professional community, axing support is that much easier. Has anyone noticed any meaningful gestures of solidarity from the major companies, for instance at budget time? But let us look at the basic situation of these companies. Begin with recognition that opera and orchestral music are among the very great art forms. They are an inspiration to hundreds of thousands, even millions of Australians, and over centuries. (No, they are not fare only for the rich and privileged. ABC Classic FM radio has a profile for its audience showing that it is the most diverse of any of the ABC radio stations.) Orchestras are found in every European country rich and poor, most of north and sound America, increasingly in Asia, some countries of the Middle East and Africa. . They are a cultural expectation, speak an international language. Australia is a wealthy country and we can afford them. Quality is a survival issue – audiences hear international recordings of the highest quality performances and one can conjecture that they will not turn out for the mediocre, especially for orchestral music. Orchestras of quality are usually full time in order to build ensemble and character and to attract the best players. Full time players and management cost a lot. They require larger numbers of performers than any form of live performing arts. Because of their scale and cost, it makes sense that they must perform for large audiences and therefore in large venues. Because their audiences have to be large, it’s a sort of tautology that they have a taste for the popular, the familiar, the oldies but goodies from the repertoire. More esoteric music requires a tolerance for complexity and the unfamiliar and is of interest to far fewer people. The more experimental the music, the smaller the audience. And so to fill the house, we have the endless repetition of Lee Lewis’s “five operas”. 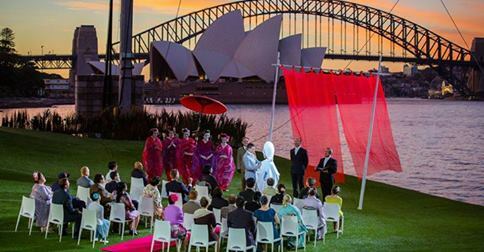 If it’s not Madam Butterfly, it’s La Boheme in the Opera Australia seasons. Financial breakeven depends on good houses for multiple performances, especially in opera. The big Australian companies should make a realistic commitment to new repertoire. This year, only 4% of the works presented by Australian orchestras are Australian. If you are the director of the Griffin Theatre, funded because you do new Australian work, this must be baffling. Someone suggested they should get their subsidies from Germany. The opera companies are mixed. Victorian Opera and the State Opera of South Australia actually have commissioning programs and also present other contemporary works. They are not so well funded but still manage to do this. Opera Australia’s Lyndon Terracini has a publicly stated and almost belligerent policy of avoiding contemporary opera – though in the September Australian Book Review he says “We are desperate to broaden the repertoire”. He cites a new commission to pop singer Kate Miller-Heidke, not well known as an opera composer. It’s a children’s opera. Presumably this will not be an opera with, for instance, orchestra. It doesn’t address the mainstage repertoire problem. The 2015 program is conservative even by OA standards. The government does not want to be blackmailed by large performing arts companies seeking rescue from financial crises. A lot of effort is put into keeping them in the black. It probably is why their subsidies were not cut in the current budget. No doubt, it is why they are not required to risk innovative programming. In the innovation department, funding companies like the Griffin gives a better bang for the buck. They can pull together small audiences that are interested in artistic innovation and they can develop the skills that support both writers and performers in achieving artistic success. Not much of this success will be taken up by the big companies but in a less than perfect world, maybe that’s not so terrible. Opera Australia funding? Australia is a rich country and we can afford to fund opera. But the opera companies and orchestras have heft that they could use for more than their own benefit. It is in their interests that the small music organisations and individual musicians and composers are better supported, both to reduce the inequity and to vitalise the art form. And as large companies they need to build contemporary repertoire that will appeal to large audiences, else the young and uninterested of today remain uninterested when they are 10 or 20 years older and at the age that many people join the classical music audience.